As a benefit to employees covered by the SMU Health and Wellness medical plan administered by Blue Cross Blue Shield of Texas (BCBSTX), SMU will cover all routine annual mammogram charges for women age 40 and above. Have your insurance information available when you call. BCBSTX will process the claim and SMU will pay it at 100%. If you participate in insurance plans outside of SMU, please inquire about other billing arrangements when you pre-register. You may use this benefit with your own physician or medical provider in the community, so if you prefer to make an appointment elsewhere, please do! The mobile unit is designed for routine preventive screening only. If you have any known breast problems, please consult your physician. Screening is recommended for women age 40 and older. Check out the BCBSTX preventive care guidelines for more information. Most insurance plans, including Medicare, cover the cost of screening once a year. 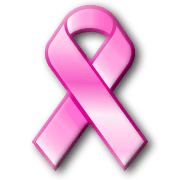 If it has been a year or more since your last mammogram, please call to schedule your appointment. Please bring your ID and your insurance card to your appointment. 214-645-2560 or toll free 866-277-0710.